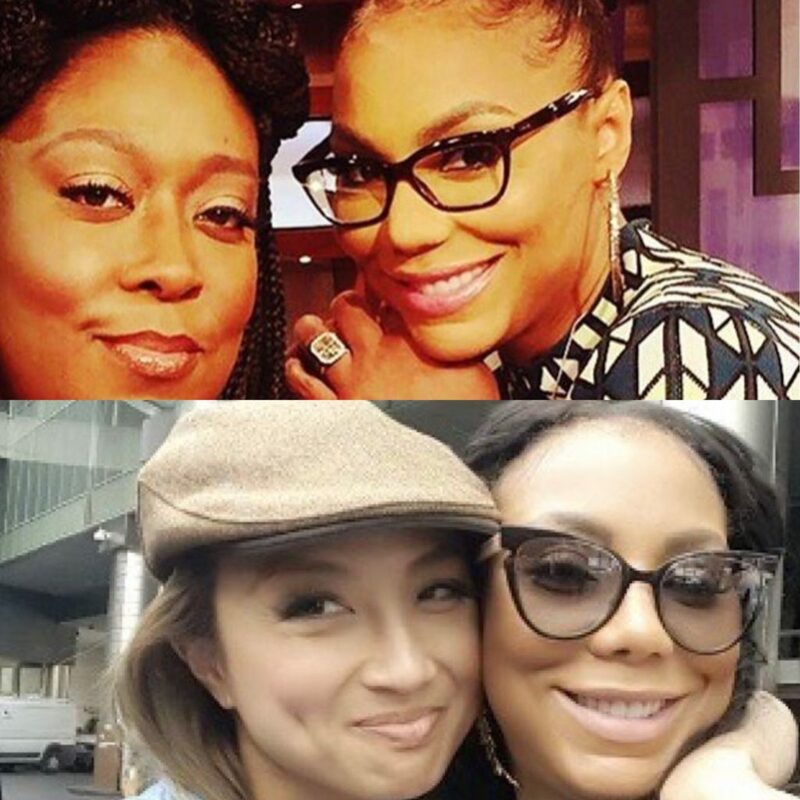 *Loni Love and Jeannie Mai have joined Adrienne Bailon in posting messages of love and support to Tamar Braxton, their former co-host on “The Real” who was fired earlier this week. Loni was among the co-hosts attacked by “Tamartians” after their leader posted a cryptic message hours before her exit was officially announced. Rumors spread that Loni, Jeannie and Adrienne may have been behind the firing. It didn’t help that Tamar unfollowed all three on social media. You shine bright.. Keep shining.. You have been my twinkle toes, my head chef, crazy friend that makes me smile. You know I love you and your family. Your faith has made me strong, your jokes make me laugh and I know that you will continue to soar as you always do. Know that no matter what I only want and wish you the best. I am here, nothing has changed. Take the time you need but know as I have always been, I am here. There ain’t nobody out there like Tamar Braxton. Every time she walks into a room you know something UNFORGETTABLE is about to happen. ? ?Entertainer, female empowerer, confidant and friend… Tay u taught me to NEVER let ANYONE or ANYTHING dull your shine. Man…. this whole damn thing. Is. HARD. I love you Tay. So why did Tamar block them.